It is not God's plan for you to live with some big giant standing in the middle of your life demoralizing you day after day after day and diminishing God's glory, robbing God's glory in your life. It s never been more important that we understand that our freedom and God's glory are forever interwoven into one story. God does want us to live free. He wants us to recognize that He s already killed the giant. Put aside what you may think about the classic David vs. Goliath story. 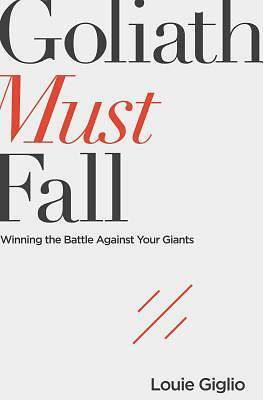 In Goliath Must Fall, Giglio shows us how to dwell on the size of our God, not the height of our giants. Once we understand the source of our giants, we can ensure that whatever our affliction is, it can, will, and must fall down with the power of Jesus.